Arriving at this pretty Chateau, nestled amongst rolling Loire Valley scenery, it's easy to see why its friendly Anglo-French owners, Charlotte and Jerome, were so enthralled that they ditched high flying careers and international travel to transform it into a small but perfectly formed boutique guest house and self-catering cottage. 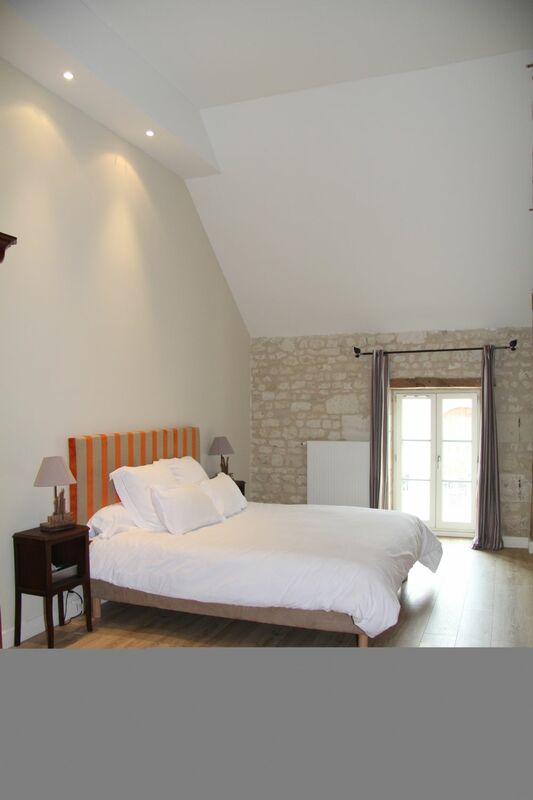 After completing three luxurious guest suites in the main Chateau two years ago and finding much praise for them from past guests, the owners have recently transformed the adjoining 17th century stable block into a pair of contemporary gites with one and two bedrooms. Like the suites, the gites have well-planned designs that reflect the owners combined experiences of both luxury travel and holidays with tots in tow to provide all the ingredients required for an effortlessly, relaxing family break. 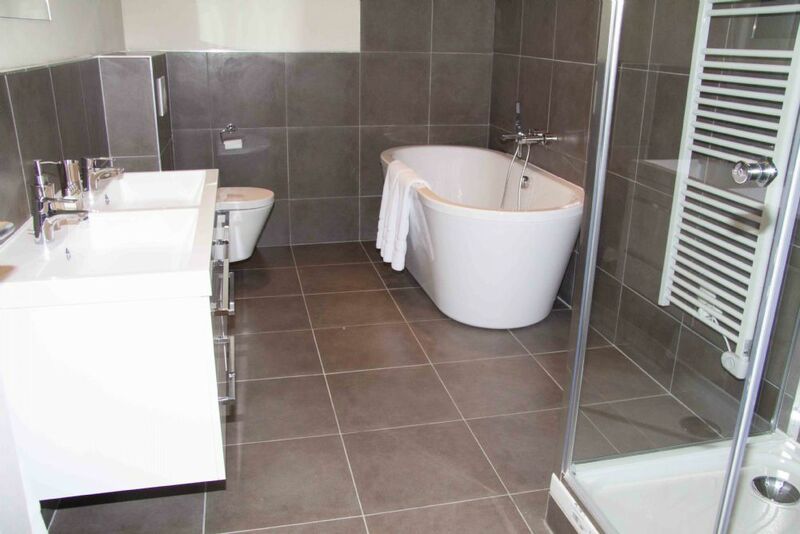 The indulgent bathroom combines high spec finishes with rubber ducks and training seats( on request), whilst the bedrooms are perfect for frazzled parents thanks to the memory foam mattresses and soothing, neutral palette. The kitchen is equipped to high standard, making cooking and preparing feeds a doddle. However when extra relaxation is in order guests can also opt into the hotel’s evening dinner service complete with early kids suppers. Plus, if a night out is called for, there's a useful babysitting service too (24hrs notice required). 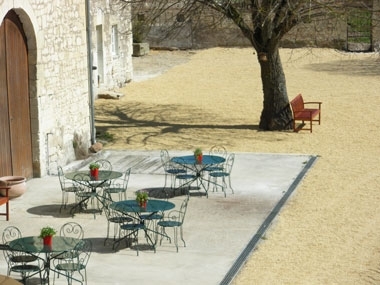 The gite has its own private terrace, ideal for alfresco dining, as well as use of the chateau's grounds including a heated outdoor pool, toddler-friendly play area with swings, slide, playhouse etc. and plentiful tranquil seating spots nestled in between. Attractions don't end there as wine enthusiasts (and enthusiastic amateurs), will often enjoy free tastings, along with the opportunity to visit their wine making rooms and six hundred year old vaulted cellars. 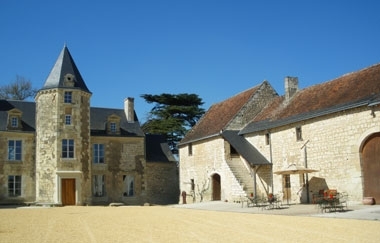 La Tour is housed in a section of the original 17th century stable block and comprises one of the chateau's original fortified towers. It has been stylishly converted into a stunning one-bedroom cottage with large bedroom and bathroom upstairs, and a spacious open plan living/dining/kitchen downstairs. The tower has been incorporated with a new entrance from the main bedroom to create a perfect cot room for a baby or toddler. The cottage has all the luxuries that guests of the chateau suites expect including ultra-comfy king size bed, boutique-hotel style bathroom with double basin, bath and separate rain-shower, fully equipped fitted kitchen with dishwasher, washing machine, and top of the range cooking facilities - not forgetting the Nespresso machine! Of course, guests can admire the kitchen without becoming a slave to it, by choosing to opt-in to fabulous table d’hote meals prepared by the Chateau's chef. Daily continental breakfasts are included in the price of La Tour. Château Chinon is located in the heart of the Loire Valley, amongst rolling farmland just 6km south of Chinon between the hamlets of La Roche Clermault and Marcay. Seuilly, the famous home of Rabelais, is just 5km to the west. The wine producing towns of Saumur, Saumur Champigny and Bourgeuil are within 20 kms, while the major historic Châteaux of the region are all within easy access for daytrips (Chinon 6kms, Ussé 12 kms, Azay Le Rideau 25 kms, Villandry 40 kms.). Owners, Charlotte and Jerome are a mine of useful information on things to do, places to visit and eat out in the region, plus, thanks to their two very young children, they have up to the minute advice on the most suitable places to visit with tots in tow. Top tips include: the local zoo and velo rail, the Chinon 'Petit Train' tour, the Aquarium and Mini Châteaux park. Getting There: By Car: It is approx 45mins from the A10 travelling south and 30 mins from the A10 when travelling North. By Train: The nearest TGV station is Tours / Saint Pierre des Corps with regular connections from Paris (55 minutes) and Brussels (3 hours). Car hire is available at this station. There is also a TER regional train link from Tours to Chinon town centre. By Plane: It is approx 1 hour from Angers, Tours and Poitiers airports, and 2hrs from Nantes. We are Charlotte & Jerome, an English/French couple, with our four children Louis, Samuel, Madeleine and Oscar. 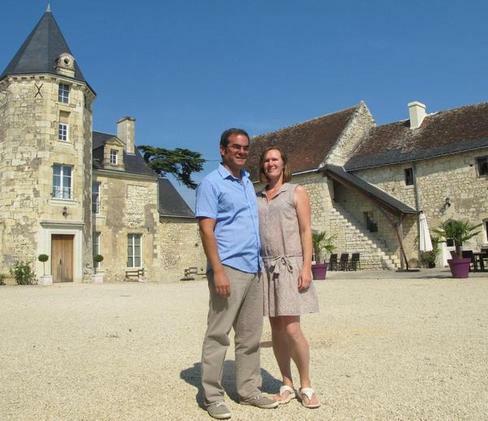 In 2007, tiring of corporate life, we came wandering round the Loire Valley on holiday, fell in love with this small but perfectly formed chateau, and set about turning it into a family-friendly haven for parents to bring their little knights and princesses on relaxing breaks. We know all about the constraints of travelling with small people, and go the extra mile to make sure the children feel at home, and parents leave us actually feeling they have had a holiday too! 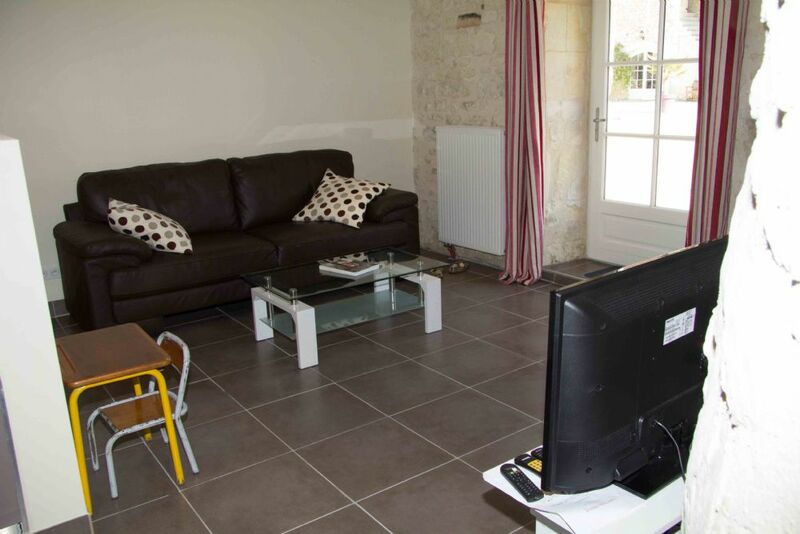 Parents love Chargé for its spacious cottages : each has wonderfully comfortable beds, sitting areas, and fully equipped kitchens. The combination of great local restaurants (and babysitters), and our separate child and adult table d'hote meals means that Mums and Dads get plenty of quality time with the children safe in the knowledge they can relax over a 'grown up' dinner and a great selection of Loire Valley wines to taste! Chargé's proximity to a horde of family friendly things to do (chateaux, outdoor pursuits, zoos and wineries...) mean there really is something for everyone. During July and August we also offer 2 afternoon supervised play sessions for children aged 2+, so that quiet afternoon without the children really can be a reality! For our younger guests, Chargé is a dream come true. There are toys galore in our purpose-made playroom, farm animals to feed, a fluffy cat and a very friendly dog, not to mention the new 'human' playmates they will find to charge around the courtyard with! The garden has a fully enclosed heated outdoor pool, and the very important 3 s's (swings, sandpit, slide!) Each cottage has English TV (including CBeebies) and there is a great selection of DVDs to borrow. 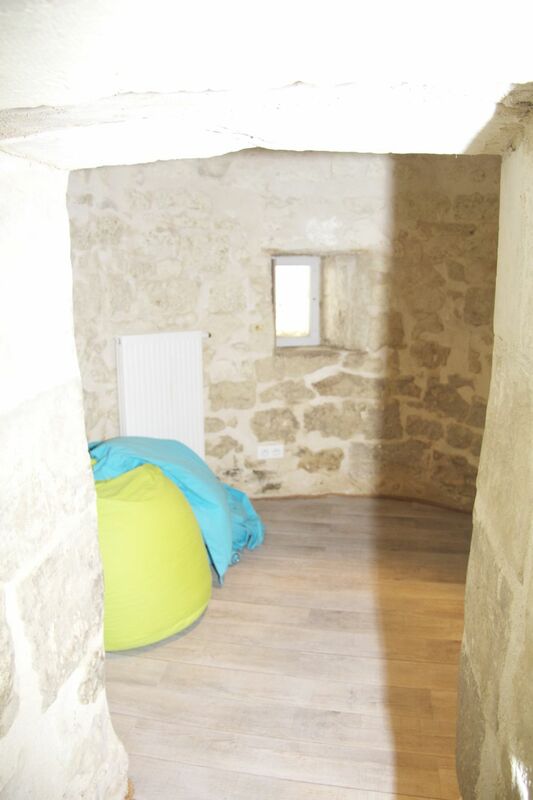 Many a budding princess and handsome knight have had their best night's sleep in a real tower! Had a wonderful first holiday with our almost 6 month old son. Owners were very welcoming and couldn't do enough for us, they provided us with a cot, monitor, toys, baby bath, changing mat everything we needed for our little one. Property is beautiful, with lots for little ones to do, a number of animals which delighted our son, the pool was lovely (a little chilly some days because the weather was cooler but we still managed to use it a number of times during our stay). They have a lovely treatment room which can be booked for massage and facial treatments. We also had a lovely evening reviewing wine with Jerome and Charlotte tasting a few of the wines from the region. Location wise it was fairly central and there was lot to do - chateaus, the fortress in nearby Chinon, bio park and botanical gardens, to name a few. All in all a lovely place to stay with delightful hosts. A wonderful find with a rare and precious blend of luxury, warmth and homeliness. From the moment you arrive through the gate, the hosts make you feel like you're part of the family. Nothing is ever a problem and we loved the relaxing atmosphere with a free-range feel. It's the perfect family break with young children: lots to do (bike rides, swings, pool, nearby towns, markets and attractions) and opportunities to truly unwind (option of home cooked banquets twice weekly, honesty-policy wine cellar, supervised playroom, babysitting service, even a masseuse/ beautician to your cottage!). Wonderful place to stay. Charlotte and Jerome couldn't have been more welcoming and helpful. They make impeccable hosts. 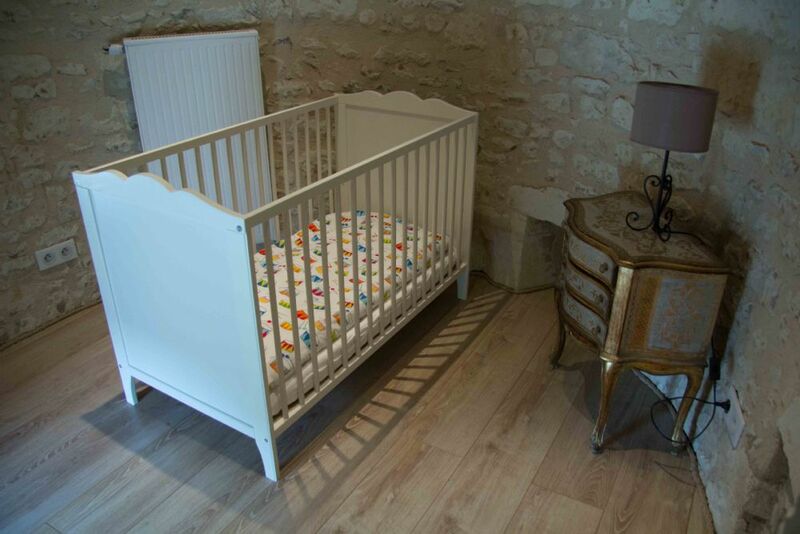 Beautiful and peaceful Chateau, and a great holiday base with a baby. Breakfast was provided daily, then lunch and dinner were self catering except for 3 evening meals, a balance which worked really well for us. Charlotte and Jerome were friendly, responsive and helpful both before and during our stay. I think I can honestly say that our week here was the most relaxed we have felt since our baby was born! We had the most amazing holiday. We really didn't want to leave and wished we had booked 2 weeks rather than one. Charlotte and Jerome are perfect hosts, offering excellent food and wine. Our children had a fantastic week meeting and playing with the other children as we did with the other parents. Accomodation and facilities faultless. Can't wait to return. We had an excellent time here, the accommodation was beautiful and hosts incredibly welcoming and friendly. The owners ( a french and english couple) really helpfully provided age appropriate baby gear and having 3 little ones themselves they knew exactly what was needed. The chef even prepare dairy free french meals(!) for our allergic 11 month old and the adult evening meals were wonderful, 4 courses and great wine all with in reach for our baby monitor! 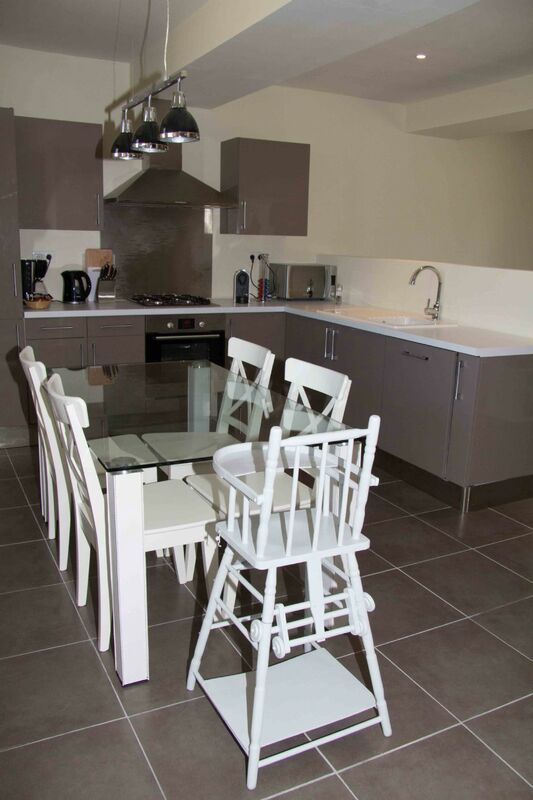 We stayed in the gite which has a fully equipped kitchen too so ideal with a baby and with the flexibility of cooking for yourselves if you can resist Phillippes wonderful cooking! A great place to stay with a baby/ kids of any age. The local area is amazingly beautiful, the hosts are welcoming and the accommodation is lovely for adults and babies alike...basically it's the ideal package and we would definitely recommend it for a visit! Brilliant!! A perfect stay, in a glorious spot with fabulous hosts. A grown ups holiday where kids are positively encouraged. The rooms are divine and the whole atmosphere welcoming, but unobtrusive and wondefully relaxing. We will definitely be returning! The owners could not have done more to make our holiday as enjoyable as possible. We were offered tips on the area every day which made our stay so much easier, knowing which restaurants were good and which markets were fun to visit. Baby facilities were great too. The baby monitor worked all the way to the pool so that we could have a swim when our daughter was napping. As well as offering babysitting themselves when they were free, they also very kindly arranged for a local babysitter to come so that we could go out for dinner. It was a truly relaxing holiday even with a baby! Brilliant!! A perfect stay, in a glorious spot with fabulous hosts. A grown ups holiday where kids are positively encouraged. The rooms are divine and the whole atmosphere welcoming, but unobtrusive and wondefully relaxing. We will definitely be returning! Outstanding! The owners could not have done more to make our holiday as enjoyable as possible. We were offered tips on the area every day which made our stay so much easier, knowing which restaurants were good and which markets were fun to visit. Baby facilities were great too. The baby monitor worked all the way to the pool so that we could have a swim when our daughter was napping. As well as offering babysitting themselves when they were free, they also very kindly arranged for a local babysitter to come so that we could go out for dinner. It was a truly relaxing holiday even with a baby! Overall rating: Outstanding!